The Georgian representatives, The Shin and Mariko, have travelled traveled to Stuttgart, Germany to record their entry for Eurovision 2014. It’s called “Three Minutes to Earth,” which sounds very astronaut to us. The song has been described as “folk meets modern”. The Shin and Mariko have said “it describes the last three minutes of a long walk back to Earth, back home”. “The song is about feelings and thoughts you have when you return, and it also tries to answer the question how the earth sounds at the moment. Folk meets modern music, mixed with country and even quotes from Bach”. The Shin and Mariko will be making a video clip of their entry, which will be recorded in Gerogia. We will be hearing the Georgian entry in mid-March when it will be officially released. What are your thoughts about what Georgia will be sending? Comment in the box below. Poll: Who Should Win Selectia Nationala in Romania? Denmark: Why did you Photoshop Emmelie de Forest for Rainmaker? They’re really creating some mystery around this one! May be good, but it also may be another Malta, Latvia, Switzerland, etc entry. If it is one of those, I see the possibility of all of them getting destroyed because of how little diversity there is between them. 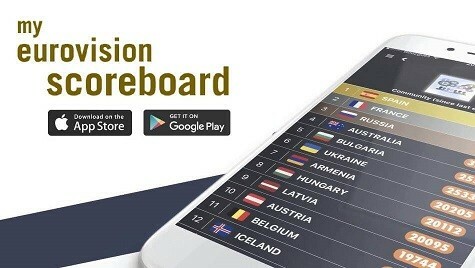 Malta, Georgia, and Switzerland are all in the same semi, and Georgia’s in the first half so if it isn’t amazing, they might not qualify, since they don’t have their Soviet friends to vote them through. Folk meets modern music? Oh god, please no more Mumford-esque music. So looking forward to this. The Shin and Mariko are skilled musicians, so I’m hoping for something both clever and accessible.